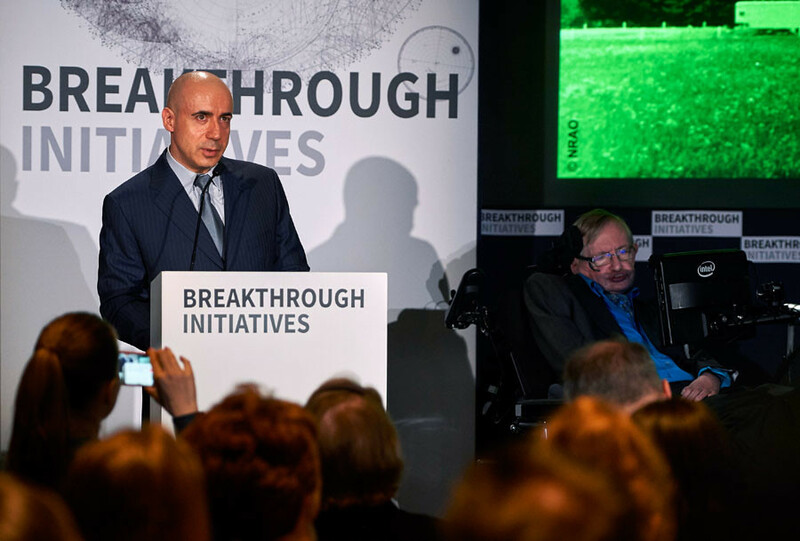 Moscow-born startup investor Yuri Milner has enlisted the help of the world’s leading scientists, including Stephen Hawking, in a renewed search for alien life using latest technological advancements, on which more than $100 million will be spent over 10 years. "There is no bigger question," physicist Stephen Hawking said through a digital voice generator during a glittering presentation in London. "It is time to commit to finding the answer to search for life beyond Earth." "We are intelligent, we are alive, we must know." Milner, whose wealth is estimated at $3.4 billion, according to the latest Forbes magazine rankings, has said that he will spend at least $10 million a year for a decade on Breakthrough Listen – a program that will look for and decode potential signs of alien life. He will also institute a $1 million prize for Breakthrough Message, a solution for how to best communicate with extra-terrestrials, though the message itself will be withheld for the moment, to make sure it does not spark alien aggression. “Today we have search tools far surpassing those of previous generations. Telescopes can pick out planets across thousands of light years. The magic of Moore’s law lets our computers sift data orders of magnitude faster than older mainframes – and ever quicker each year,” Milner said in a letter titled Call to Action, co-signed by the a diverse group of backers, ranging from leading astronomer Martin Rees, to chess champion Magnus Carlsen and writer and performer Seth McFarlane. Breakthrough listen will use the Robert C. Byrd Green Bank Telescope in West Virginia and the Csiro Parkes Telescope in New South Wales, Australia – two of the most powerful radio telescopes in the world. Milner has promised to provide a fifth of their funding in exchange for letting his teams use the telescopes for a proportionate amount of time. 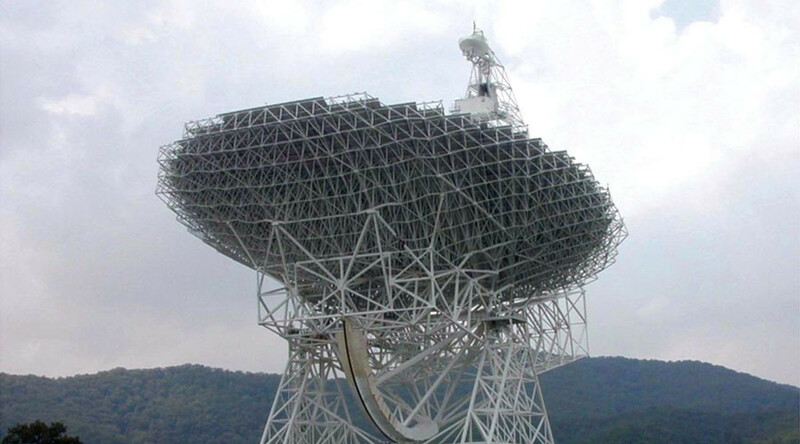 While the SETI – Search for Extraterrestrial Intelligence – program has existed for more than five decades, its scientists often lack access to the powerful telescopes needed for observation and super computers required to crunch the data. While a third of the money will be ploughed into next-generation listening equipment, for the moment the project will try to identify radio signals being emitted from distant planets – with Milner saying Breakthrough Listen will scan 1 million stars. Due to a combination of covering a wider area of the sky, faster, using a broader wave spectrum, it is estimated the program could be up to 1,000 times more powerful than any existing SETI activity. In previous eras, breaking down the data has required massive resources, and over 9 million volunteer computers around the world are being used to run automated analyses of the telescope signals. Milner has proposed creating an open-source platform that will allow software engineers to build and share modules that can make the process more sensitive and efficient. For 53-year-old Milner, this is the fulfillment of a lifelong dream. Born into an academic Russian Jewish family, he completed a PhD in Physics in the USSR, but by his own admission was “not smart enough” to make a name in science. Instead, he became one of the first Soviet citizens to study for an MBA in the US, and pursued business, first building up Russia’s internet giant Mail.ru, before cannily investing in future internet stalwarts such as Facebook and Twitter during their early expansion phase. But Milner is not transitioning into an eccentric billionaire whiling away his time on private hobbies. As well as sponsoring an annual $3 million physics prize, he is betting on a new wave of startups, and says he truly looks forward to the next generation of NASA telescopes that will be sensitive enough to detect oxygen in the atmosphere – a likely marker of life. “It’s not crazy,” summed up Miller, when asked whether he truly believed alien life can be found just a few years from now.